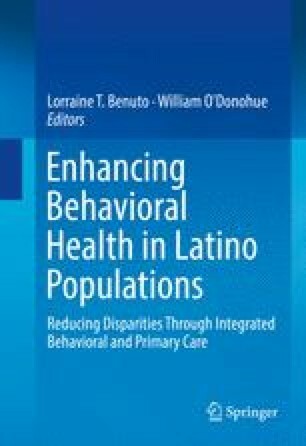 Failure to address limited English proficiency (LEP) is one of the main reasons leading to health disparities among Latinos. Translators in the clinical setting facilitate communication between providers and patients with LEP. In this chapter we talk about the effect of choosing to utilize a translator or not and its relationship to the quality of communication, patient/physician satisfaction, and health-related outcomes. We describe the different types of interpreters available and compare the advantages and disadvantages of each type, patient and physician preferences, and the quality of interpretation they provide. Our hope is to provide a framework from which the provider will be able to decide the form of interpretation most appropriate for each particular circumstance. We also explore specific themes on using a translator for mental health encounters. We will provide some information relevant to everyday interpreter use and tips to make more effective use of interpreters in integrated care settings. We then comment on different policies and systems approaches that have been tried in order to improve communication with Hispanic patients and improve interpreter utilization. Finally, we share some insights found in the literature from the translators themselves about improving communication with Latino LEP patients.